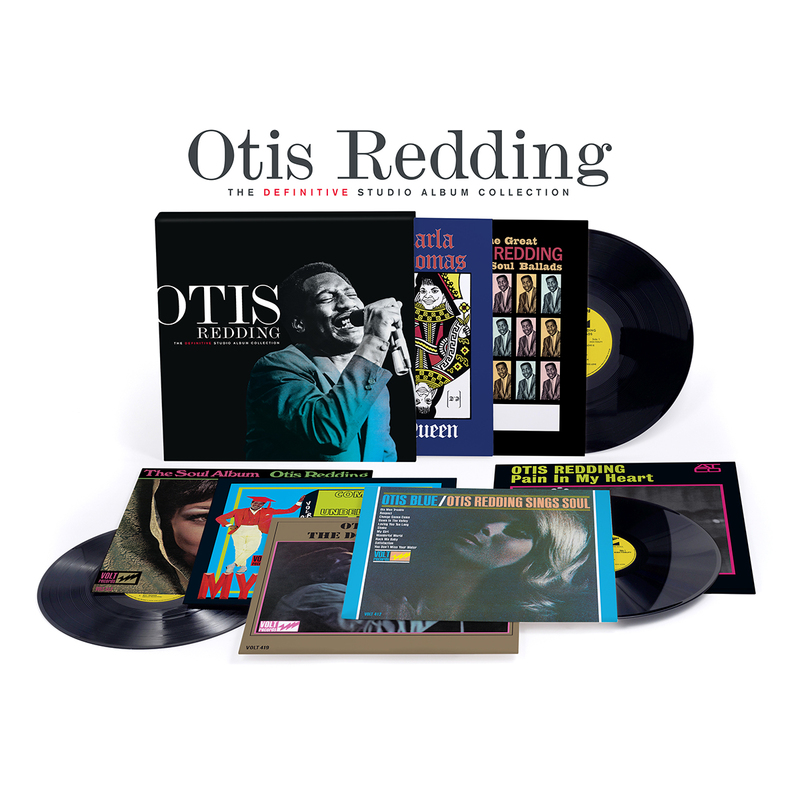 The albums included in the collection are: Pain In My Heart (1964), The Great Otis Redding Sings Soul Ballads (1965), Otis Blue/Otis Redding Sings Soul (1965), The Soul Album (1966), Complete and Unbelievable…The Otis Redding Dictionary of Soul (1966), King & Queen – Otis Redding & Carla Thomas (1967), and The Dock of the Bay (1968). All of the LPs replicate the original packaging, from the sleeve artwork down to small details like the original record labels (Volt and Stax) and catalog numbers, all housed together in a side-loading slipcase. Several of these albums are long out-of-print and back on vinyl in mono for the first time in years. The music follows Redding’s career from his 1964 debut Pain In My Heart up to The Dock of the Bay, which was released in February 1968, just a few months after the singer’s untimely death in December 1967. Despite his short career, Redding recorded songs that helped define soul in the Sixties and beyond. The albums are packed with Top Ten R&B hits: “Chained And Bound,” “Mr. Pitiful,” “I’ve Been Loving You Too Long” and his cover of the Rolling Stones’ “(I Can’t Get No) Satisfaction.” Another obvious highlight is “Respect,” a song Redding wrote and recorded in 1965, which later become a massive hit for Aretha Franklin. Another essential is “Tramp” from his unforgettable duets album with Carla Thomas, King & Queen. As it happens, that’s also the last album the singer would release during his lifetime. Redding’s music career began fatefully in 1962 when an unexpected opportunity to record two songs led to a contract with Stax Records in Memphis. Throughout his career, the singer was backed by the legendary Stax house band: keyboardist Booker T. Jones, guitarist Steve Cropper, bassist Donald “Duck” Dunn, and drummer Al Jackson Jr.